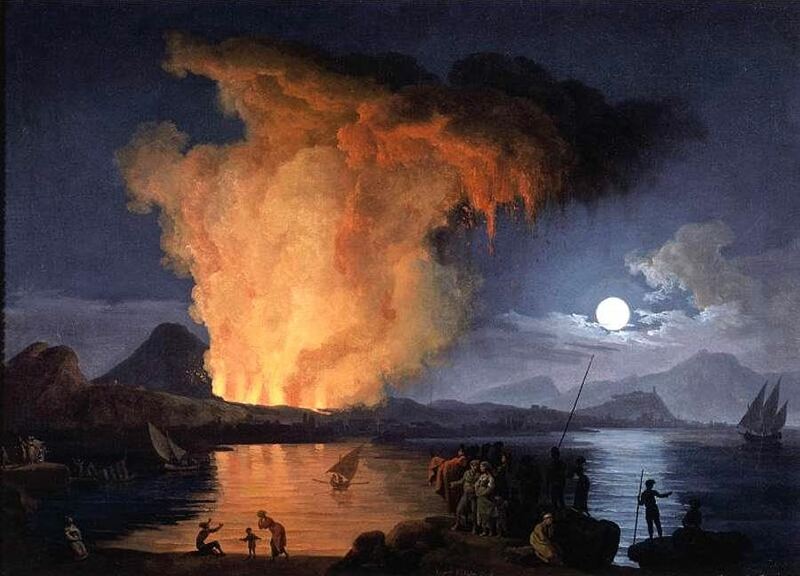 This painting by Pierre-Jacques Volaire shows the terror, violence and horror of the eruption of Vesuvius in AD 79. Even now, it is a volcano that presents a threat to the millions of people who live in the region. This quiz is based on the detailed description of the eruption provided at the Melbourne Museum Exhibition in 2009. After completing this task, you can also watch the simulation of that terrifying day in Pompeii when Vesuvius, seemingly a harmless mountain that had not erupted in living memory, suddenly poured out ash, gases and volcanic debris on the hapless residents of nearby cities and towns. VIDEO: How Vesuvius’s victims died… What happened in Herculaneum? What or who was suspended in the last moment of life? What do the numbers 200 to 700 refer to? What do the numbers 900 and 500 refer to? What happened in a fraction of a second? ♦How Stuff Works: What would happen if Vesuvius erupted today? 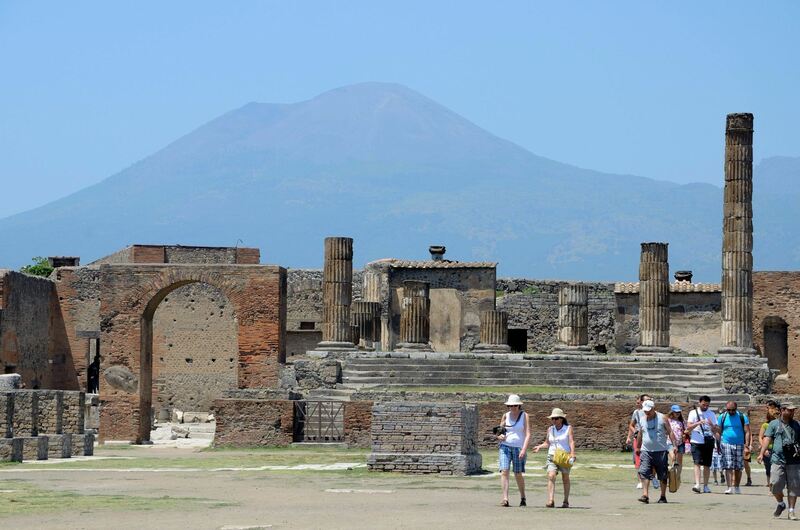 This link also includes a number of slides showing the site of Pompeii today. In Pompeii, the ghosts of the past speak to us still. The plaster models in the ruins of Pompeii allow us to picture the last moments of the people and the animals: we can still see the slave tearing at his leg irons, the dog writhing in pain, the people clasped together in love and despair. ♥Lovers are like bees in that they live a honeyed life. ♥Atimetus has got me pregnant. ♥I hope your piles irritate you so that they burn like they’ve never burned before. ♥Nobody is gallant unless he has loved. ♥If anyone does not believe in Venus, he should gaze at my girlfriend. 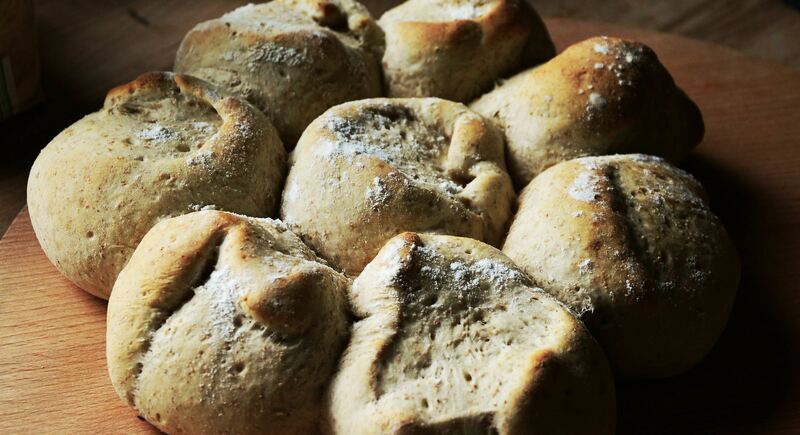 The bread of the rich contained yeast and therefore was soft and fluffy. The bread of the poor was unleavened (containing no yeast) and was therefore flat and hard, a little like pita bread. You see, inequality permeates even the most basic aspects of life. People used dice in Pompeii and they were not above cheating. Loaded dice have been found in the city; they had been weighted to fall on some numbers more often. Most of the people who died in Pompeii survived for the first 22 hours or so, but were killed by the intense heat and buried by the series of pyroclastic surges between 6.30 and 7.30am on August 25th, 79AD (almost 24 hours after the first explosion from Vesuvius). The ash, pumice and sand reached a height of 4 metres, burying the buildings so effectively that after several years had passed, people began to forget where the city had once stood. It was only in 1744 that a farmer who was digging his land touched a statue with his shovel, accidentally discovering the most important archaeological site ever found. Even though 2,000 people died, it is estimated that 10,000 people survived. They were the ones who fled from the city well before the pyroclastic surges began in the early hours of 25th August. Pliny the Younger, who wrote the sole surviving eye-witness account of the eruption, had this type of volcanic event named after him. A “Plinian” eruption is one characterised by repeated explosions. This video formed part of the Melbourne Museum’s exhibition on Pompeii in 2009. I watched it there in 3D and had the feeling that I was about to be hit by a piece of pumice or covered in volcanic ash. It was unnerving but unforgettable. I felt relieved to be safely in the future world. (a) inform others of what you have discovered. Make sure you save your comment in a Word file as well. (b) comment on the graffiti above. 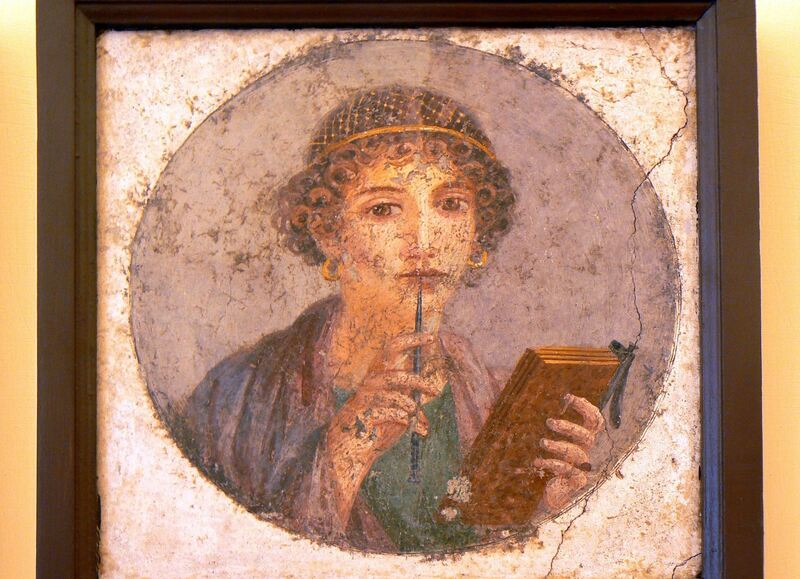 What does it tell us about the people who lived in ancient Pompeii? ♦Pliny – a Primary Source: Don’t try to read this whole document, but skim through it. This account shows you how people reacted at the time. The ruins of Pompeii with Vesuvius in the background, sleeping. That 3D film showing the last 24 hours of Pompeii had me dodging the pumice and watching the sparks fly past my head. It was almost too realistic for my liking. I felt very glad to be safe in the modern era, more than 1900 years after that series of pyroclastic surges flowed over Pompeii, burying the city and its hapless inhabitants. Even though the film was a brilliant reconstruction of the events in one part of the city, I think the plaster figures were more moving and distressing to see. They made it so easy to picture the last moments of the people and the animals: the slave tearing at his leg irons, the dog writhing in pain, the people clasped together in love and despair. Lovers are like bees in that they live a honeyed life. Atimetus has got me pregnant. I hope your piles irritate you so that they burn like they’ve never burned before. Nobody is gallant unless he has loved. If anyone does not believe in Venus, he should gaze at my girlfriend. Below are some fascinating facts that I learned today. See if you can add something I haven’t mentioned in a comment for others to read or, if you prefer, write a comment about what you found most interesting about the exhibition. People used dice in Pompeii and they were not above cheating. 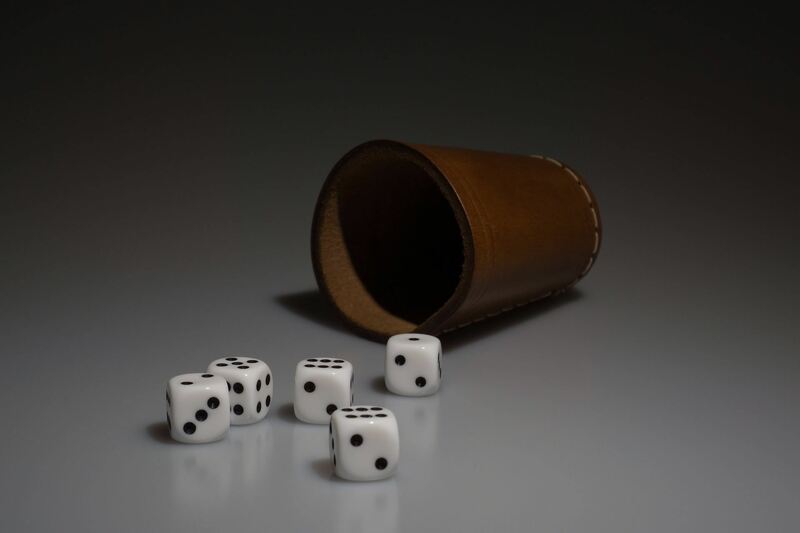 There were some samples of loaded dice at the exhibition; they had been weighted to fall on some numbers more often. 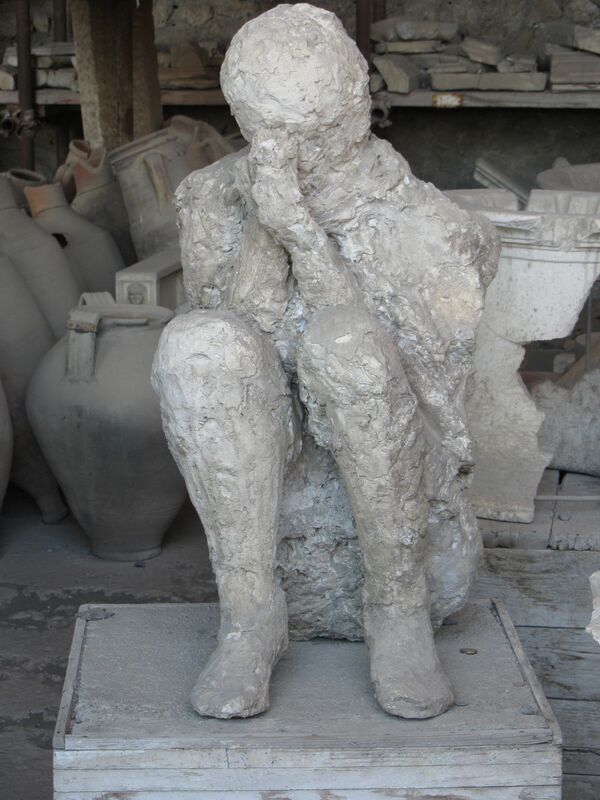 Most of the people who died in Pompeii survived for the first 22 hours or so, but were killed by the intense heat and buried by the series of pyroclastic surges between 6.30 and 7.30am on August 25, 79AD (almost 24 hours after the first explosion from Vesuvius). The ash, pumice and sand reached a height of 4 metres, burying the city so effectively that after several years had passed people began to forget where it had once stood. Even though 2,000 people died, it is estimated that 10,000 people survived. They were the ones who fled from the city well before the pyroclastic surges began in the early hours of 25 August. What can you remember? What did you find most fascinating? Write a comment to inform others. You were a pleasure to take on an excursion, 7E. Thanks!